At his best on the dense and magisterial albums Graduation (2007) and My Beautiful Dark Twisted Fantasy (2010), Kanye West dug deeply into a small set of favorite themes—his own unique brilliance and the status and power it has granted him—in overflowing, overripe language drenched in layers of virtuosically curated and processed samples. A Walt Whitman with Pro Tools and a merch line, West celebrated his 21st-century self in music that made great art and very good business out of overwhelming excess. Next to these albums, Kanye’s latest, Ye, is underwhelming. Its essence is the opposite of excess: incompleteness. Thin and scattershot, musically pleasant but uninspired, Ye feels tossed off and released before it was finished. It’s not entirely bad, but then it’s not entirely anything. Its failing is its lack of any kind of entirety. Of all Kanye albums, Ye is surely the easiest to listen to. And that’s a shame, since much of West’s genius has always resided in his ability as a producer to create daring, ear-stretching juxtapositions of textures and beats. Here, he offers little that challenges anything other than our patience. 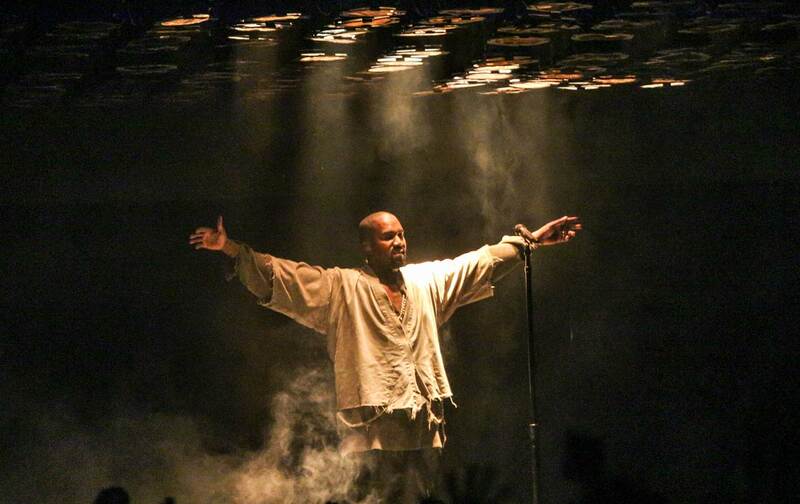 Musically, Ye is enjoyable enough, making elegant use of “Children Get Together” by the Edwin Hawkins Singers on one track, “No Mistakes,” and a catchy segment of the Royal Jesters’s version of “Take Me for a Little While” on another, “Ghost Town.” Beyond these deft touches, however, Ye doesn’t offer much but wan posturing. A generous take would be to think of Ye as a continuation of the experimentation with incompleteness that West undertook with his previous album, The Life of Pablo, a work released and revised several times, over a period of months. As West explained at the time, he saw the project not as a traditional, finite piece of work but rather as a “living breathing changing creative expression.” The Life of Pablo was, by design, an act of noncompletion as artistic statement. Ye feels like something less, a statement only partly thought through and halted in mid-sentence. The contrast between the two albums brings to mind an observation that Paul McCartney, with whom West has collaborated a few times in recent years, once made. Asked about the ungenerous comparisons drawn between his work as a solo artist and as leader of Wings and the music he made with the Beatles, McCartney said, “You can’t get it right all the time. If there’s been a fault with my stuff, I think some of it was unfinished. Looking back on some of it now, I think, ‘You didn’t finish the bloody thing.’ ” For West, such a realization would require a degree of self-awareness that his self-absorption may not allow.